We look into some minor quibbles and possibly problematic plot points. 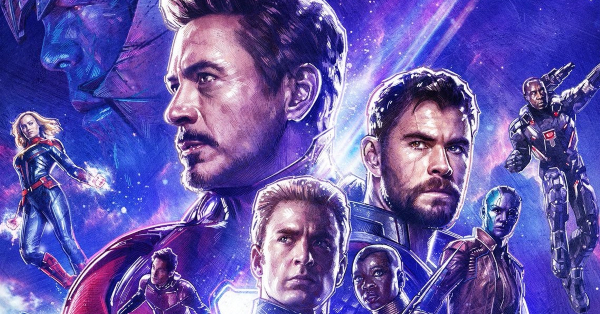 As fans leave the theater after watching Avengers: Infinity War, discussions range from the surprise of the ending, whether or not Peter Quill (Chris Pratt) is to blame for some of what transpired, and what movie they missed that established Scarlet Witch (Elizabeth Olsen) and Vision’s (Paul Bettany) relationship – yes, it is Captain America: Civil War. 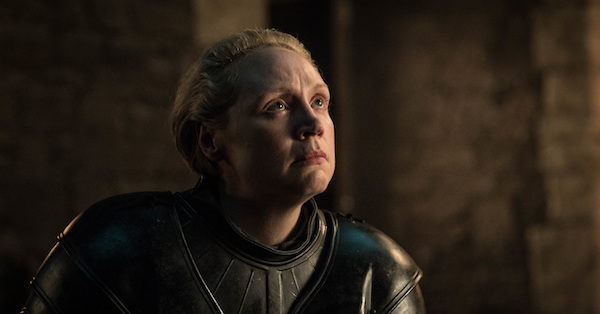 But audiences also walked away asking questions about the film’s plot, which is natural enough, given that it’s so sprawling and key details can get lost in the big moments. Some of these elements definitely look and sound like plot holes — even films Certified Fresh on the Tomatometer at 84% aren’t immune — while others are just puzzlers because of the pace and length of the film. So let’s take a look at some of these lingering questions and find a true Infinity War plot hole. SPOILERS follow from here, of course. Why Didn’t Thanos Just Use the Infinity Gauntlet To Create More Resources? This is a key question as, from the way the Gauntlet is described, it is a seemingly reasonable solution to Thanos’ (Josh Brolin) grim calculus. As he tells Tony Stark (Robert Downey Jr.) before the battle on Titan, the planet was once a paradise, but he foresaw a time when the lack of resources would rip it apart as its civilization clashed for the remaining foodstuffs and energy reserves. His answer was to eradicate half of Titan’s population – presumably just the sentient life at this point – to forestall the chaos. The planet’s government “refused” to listen and Titan ate itself. Some have already pointed out that Thanos’ math is flawed. According to some estimates, halving the human population of the Earth would have little effect on humanity’s long term use of resources. The population would regain its previous numbers rather quickly, leading to the same problem of materials Thanos set out to solve — not that scarcity is the actual problem on Earth at the moment, but issues of distribution. So the seemingly logical option would be to replenish resources on a universal scale and use the Gauntlet’s power to create a perpetual source of raw materials and energy, right? 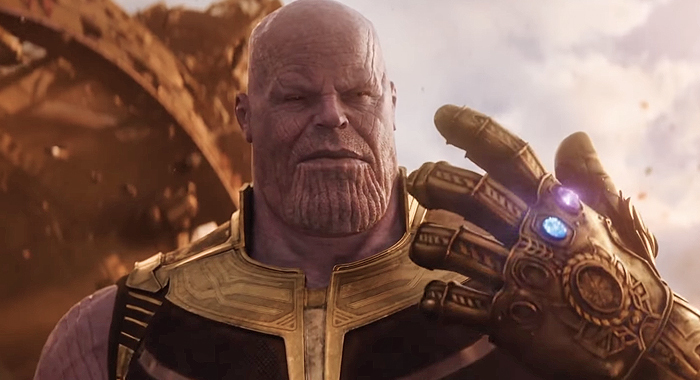 It is a seemingly sound and benevolent use of the Gauntlet, except for the possibility that the Stones are bound by a fundamental precept of the universe: new matter cannot be created. Despite the awesome powers of the Stones, they still draw their abilities from the raw assets of the universe, which are still finite levers of energy in our current understanding. Which leaves Thanos with the same issue he had on Titan: forestalling the inevitable. Of course, the question itself means taking the character, also known as the Mad Titan, at his word. Just as Marvel Comics’ Sauron once explained to Spider-Man why he won’t cure cancer with his intellect – so he’d rather turn people into dinosaurs — Thanos started with the notion of genocide and found a condition to justify it. Ultimately, Thanos’ choice to use the Gauntlet is less a plot hole than the character’s raison d’etre. Why Did Peter Parker Take So Long To Vanish? While the most obvious answer is the dramatic effect, the delayed disappearance of Peter Parker (Tom Holland) has to make some sort of sense within the world of the film to explain away why he lasts while the rest of the Guardians and Doctor Strange (Benedict Cumberbatch) do not. 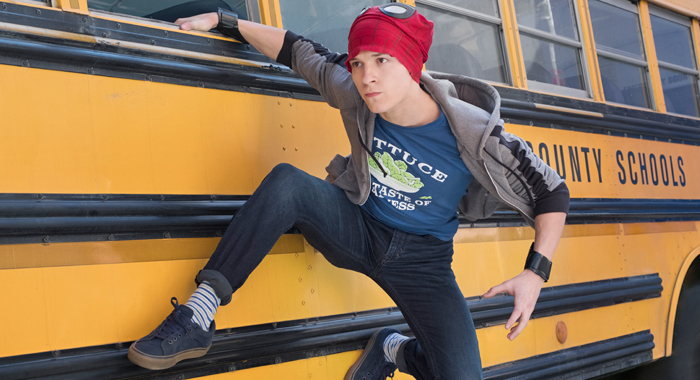 According to one person involved in the production, Weta visual effects supervisor Matt Aiken, there was a story point behind Peter surviving longer and feeling his body giving way to oblivion. Peter’s inherent strength and tenacity made him hold onto existence. It is sort of a reasonable answer, even if it would immediately be countered by Drax (Dave Bautista), who would boast of his superior strength when compared to the spindly boy in a bug costume. Nonetheless, the inherent strength argument does explain away a couple of other key features of the scene. For one: none of the other characters surrounding Tony feel their hold on existence slipping the way Peter does, leading to his meme-worthy statement, “Mr. Stark, I don’t feel too good.” It could be argued Peter Quill and Doctor Strange sense it to some extent, but neither struggles with it or comments on it. Accepting the notion gives Spider-Man a certain power status matched only by Nick Fury (Samuel L. Jackson), who managed to outlast everyone around him and stay intact long enough to send a message to Captain Marvel (Brie Larson), which may be more than fans of Drax, Quill, or Strange would be willing to do. In the end, Peter’s apparent ability to hold off the Infinity Gauntlet’s power is more an inconsistency than a plot hole as it was necessary to give Tony – now interested in becoming a father – a moment of horror as he watched his surrogate son turn to ash. And considering how effective the moment was, audiences can forgive the dramatic license. Where Was Captain America All This Time? More difficult to forgive is the lack of good intel on Captain America’s (Chris Evans) whereabouts for the last few years. Even the timeline itself is muddled with the events of Captain America: Civil War taking place as far back as the film’s 2016 release or as recently as a couple of months ago from Infinity War‘s perspective. Traditionally, Marvel Comics has always played coy with the passage of time — events published in the 1960s are often said to have occurred only a handful of years ago – and the studio is no different with only Spider-Man: Homecoming and Guardians of the Galaxy offering firm timeframes. So with that in mind, Infinity War gets a little bit of leeway on Cap’s activities if it has only been a handful of months since Civil War. Nonetheless, the film leaves it quite unclear what Cap, Falcon (Anthony Mackie), and Black Widow (Scarlett Johansson) have been up to since Steven freed Sam and the others from the Raft. A simple, “Oh, we were on an extended vacation in Wakanda; Sam took up needlepoint” would do the trick. 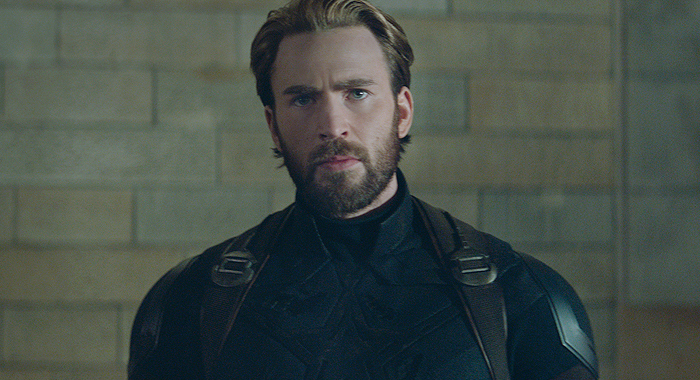 But with so much going on, the movie lacked the opportunity to clarify how long Team Cap has been in the cold and how they supported themselves for the duration. It is definitely a plot hole, but one that appears in the gulf between films and the overall meta-structure of the MCU than a specific issue of Infinity War. How Team Cap managed to find Vision and Wanda is closer to a true plot hole, but the thrill of seeing them in action makes up for it. Where Were Valkyrie and Korg? This, however, is a clear plot hole. When we left the Revengers at the end of Thor: Ragnarok, Valkyrie (Tessa Thompson) and Korg (Taika Waitiki) were aboard the cruiser filled with Asgardian refugees. In the mid-credit stinger, the ship was intercepted by Thanos, who was finally ready to claim the Space Stone from Loki (Tom Hiddleston). But when the action resumes at the beginning of Infinity War, Valkyrie and Korg are nowhere to be found. Like Lady Sif’s (Jaime Alexander) continued absence from the MCU, their sudden disappearance is down to boring contractual stuff. Appearing in the film means both actors get fees and some sort of residuals, even if all they do is lay on the floor motionless with the rest of the Asgardians. And while it is easy to assume they are somewhere on the ship, the lack of them leaves one to wonder if they are still alive. Come to think of it, Thor (Chris Hemsworth) even mentions Thanos killed half of the remaining population. Add the losses after Thanos snaps his fingers and the whereabouts of the other Revengers may just be a moot point. 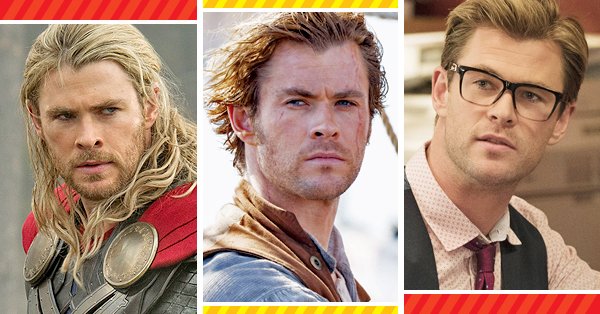 Unless, of course, you want some sort of closure with characters you came to enjoy in Thor: Ragnarok. 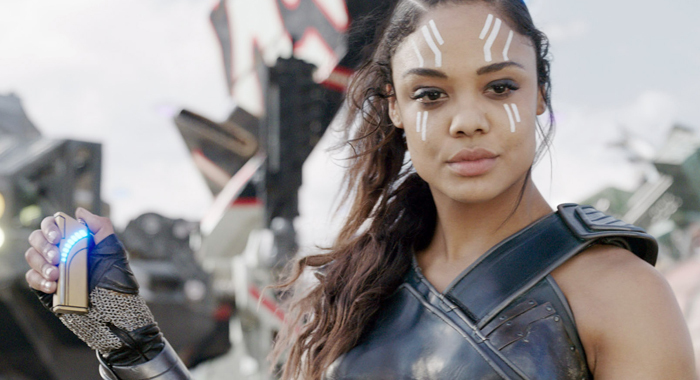 Co-director Joe Russo eventually let slip that Valkyrie survived the attack, leaving her as the likely guardian of the refugees who were spared by Thanos. He has not been as forthcoming about Korg’s status, so let’s assume he survived the attack as well, only to join the dust later. Maybe. No matter their fates, their absence in the initial minutes of Infinity War is a plot hole for the both the film and the MCU in general, even if it can be explained away by mundane studio reasons and, perhaps, Marvel not anticipating that they would become fan favorites. When first introduced, Wanda Maximoff had a fairly strong Eastern European accent reflective of her Sokovian roots. But in Infinity War, it has been replaced by Elizabeth Olsen’s own accent. Like Halle Berry’s choice to abandon Storm’s accent in the later X-Men films, there is a practical real world reason to ditch the affected speech pattern: it is one more thing that can screw up a take. But without justifying it, the sudden disappearance of her Sokovian accent leaves many filmgoers wondering if the filmmakers just forgot about it – something which could be construed as a plot hole. According to Russo and his brother/co-director Anthony, there was a deliberate choice to de-emphasize Wanda’s accent stretching back to Captain America: Civil War, leading up to a more “neutral” American-sounding accent in Infinity War. And because it was a conscious decision, they had an “in-world” justification for it. Since she was being trained in covert surveillance by Black Widow, she came to understand that the Sokovia accent makes her distinctive and easier to spot. 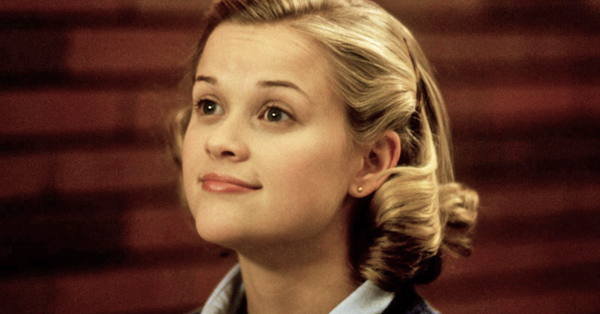 Consequently, she trained herself to speak with a generic American sound in her voice. 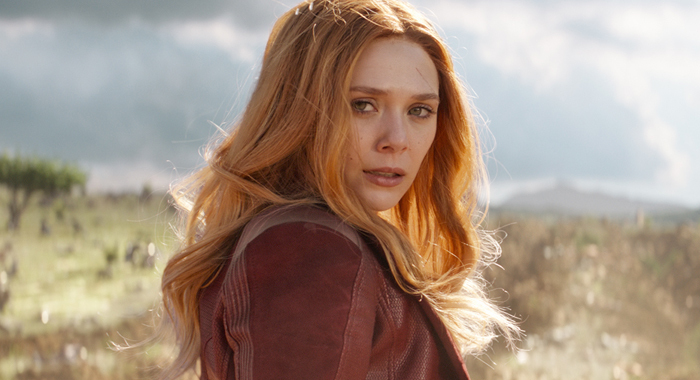 All things considered, it is a really good reason for the change – particularly if we assume Black Widow also had to train away her Russian accent some time in her history – even if it is motivated by either Olsen’s discomfort with the Eastern European accent or the Russos’ wish to streamline the character. But as it is never addressed in the film, it remains a legitimate plot hole while fans wonder if Wanda forgot she was Sokovian. While the film is fairly consistent despite its numerous characters and event comic book scale, it certainly presents fans with a number of minor quibbles ready to inspire memes like the ones focused on Wong (Bendict Wong) escaping from the movie 20 minutes in despite getting his own character poster. And like those memes, the film’s plot holes offer more funny ideas than serious assaults on the film’s quality — a remarkable achievement considering the ambitious production.